Prosecutors on Tuesday filed new paperwork in the case of former national security adviser Mike Flynn. He has been cooperating with investigators since pleading guilty last year. 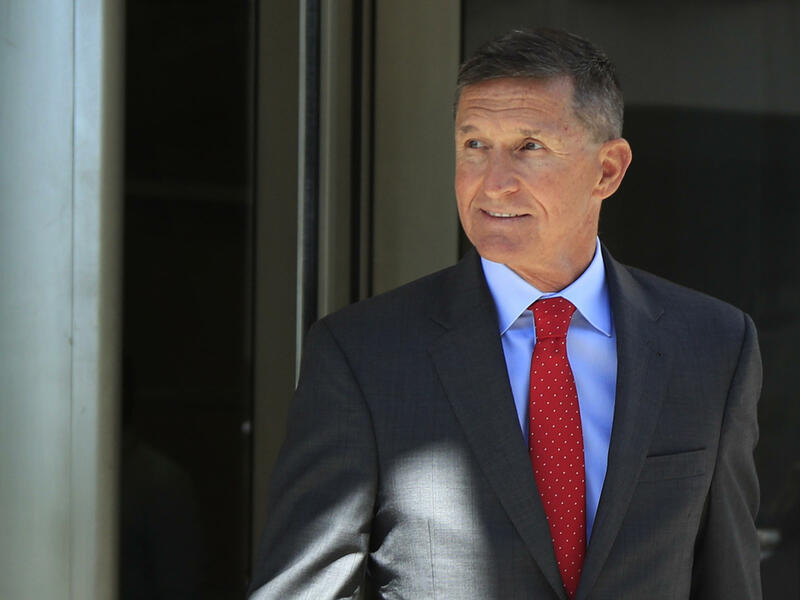 Former national security adviser Michael Flynn has provided "substantial" aid in the Russia investigation and beyond — and that merits a judge's consideration at Flynn's sentencing this month, prosecutors said in court papers late Tuesday. 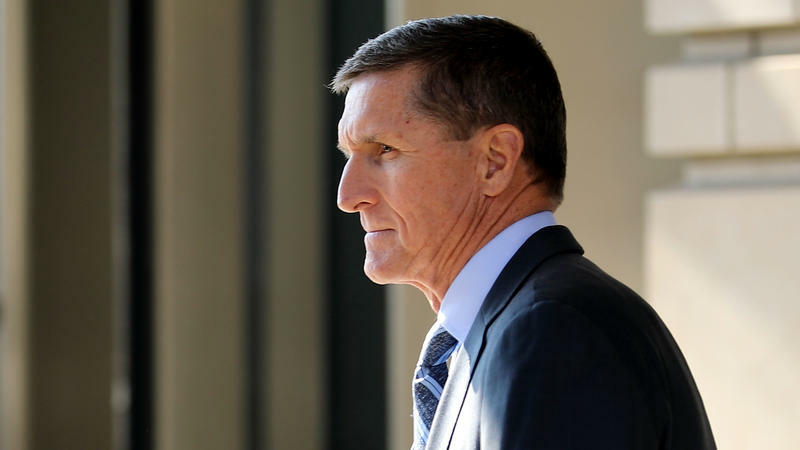 The government said in a memo to a federal judge that it believes sentencing for Flynn should be lenient and that even a sentence without prison time "is appropriate and warranted." Prosecutors say Flynn helped with "several ongoing investigations," not just the Russia inquiry but also a redacted criminal investigation. Authorities say some of Flynn's help may not have yet borne fruit, but they've asked a judge to sentence him anyway as had been planned on Dec. 18. Prosecutors wrote that Flynn offered "firsthand information about the content and context of interactions between [Donald Trump's] transition team and Russian government officials" on two sensitive matters: a United Nations resolution about Israeli settlements and the then-outgoing Obama administration's sanctions on Russia for interfering in the 2016 presidential election. "Several senior members of the transition team publicly repeated false information conveyed to them by the defendant about communications between him and the Russian ambassador regarding the sanctions," the court document says. The following sentence is redacted, as are several other parts of the document. The document hails Flynn's cooperation with prosecutors but many of the details are obscured. On the whole, authorities said Flynn cooperated early and was "particularly valuable because he was one of the few people with long-term and firsthand insight" regarding matters being investigated by the special counsel's office. His work with the government included 19 interviews with special counsel lawyers or others at the Justice Department. Flynn pleaded guilty in late 2017 to lying to the FBI. He told investigators that he didn't remember a conversation with Russia's then-ambassador to the United States at an important moment in the presidential transition. Actually, Flynn later admitted, he did. Since then, he has been giving information to investigators in exchange for leniency from the Justice Department. In the closing days of 2016, the outgoing administration of President Barack Obama imposed punitive measures on Russia to retaliate for its attack on the 2016 presidential election. It ejected a number of people posted inside the U.S. and closed diplomatic facilities they used. Meanwhile, the incoming Trump administration sought to prevail upon Moscow not to escalate the situation when it responded to Obama's actions. Flynn talked with the presidential transition team, according to court documents, as he was also negotiating with Russia's then-ambassador to the United States. Ultimately, Russian President Vladimir Putin announced that Russia would not escalate its response to the actions taken by the outgoing Obama team. Then-President-elect Trump praised that decision on Twitter. In early January 2017, The Washington Post reported aspects of Flynn's conversations with Russia's then-ambassador. But Flynn and others in the Trump camp insisted that Flynn didn't talk about sanctions with his Russian counterparts. Those people included then-Vice President-elect Mike Pence, who told CBS on Jan. 15, that he had talked with Flynn himself about the situation and had been assured there was no such discussion. At the Justice Department, however, then-Acting Attorney General Sally Yates knew that wasn't so — and she knew the Russians involved knew it, too. Worried that discrepancy might open Flynn to foreign leverage, she went to the White House to warn then-White House Counsel Don McGahn. The story continued to swirl until Feb. 13, when Flynn resigned. Many of the specific details about what took place inside the White House aren't clear. For example, as The Post also reported, Pence didn't learn that Flynn had given him false information until around the time the newspaper reported it. Trump, on the other hand, had been briefed much earlier. So Trump knew for some two weeks that Flynn hadn't told Pence the truth but also didn't act or tell Pence. On the day after Flynn's resignation, then-FBI Director James Comey visited the White House for a meeting with Trump and others. Afterward, Comey later said, Trump asked everyone else to leave the Oval Office and began talking about Flynn. Trump said he hoped that Comey could "let this go," according to Comey's account. 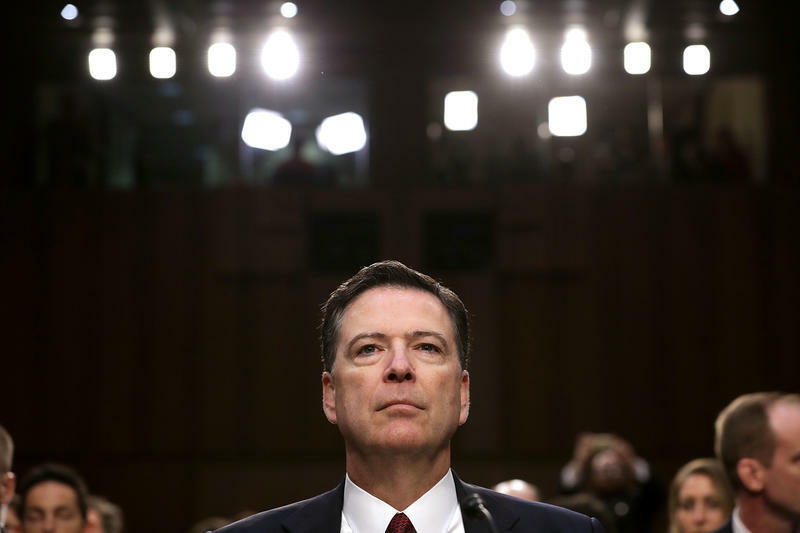 Comey documented his account of that encounter and others in memos that later became public after Trump fired him in May 2017. Critics argue that Trump's requests, his subsequent firing of Comey and other actions both pertaining to Flynn and unrelated to Flynn mean that the president may have obstructed justice. Trump has denied he asked Comey to ease up on Flynn and disputes other aspects of Comey's account. The president and his attorneys also have since taken the position that Trump has broad powers under the Constitution to hire and fire virtually anyone he wants within the executive branch, for any reason. Thus, in this view, the president cannot have broken any law. Flynn was a longtime U.S. Army intelligence specialist who rose to the summit of his career as director of the Defense Intelligence Agency under President Barack Obama. But he clashed with other powerful leaders inside the intelligence community and he was ousted in 2014. So Flynn went into business for himself, selling his expertise about geopolitics to clients within Washington and around the world. Two of his important foreign relationships involved powerful Russians and Turks. In 2015, Flynn traveled to Russia to appear at a celebratory dinner for the state-controlled RT media network and accepted tens of thousands of dollars in payments from Russian entities. Flynn's business also began to do work for Turkish clients, including those with ties to Turkey's president. Flynn also became involved in an ambitious nuclear reactor project with a number of potential international supporters, including Russians, Egyptians, Israelis, Chinese and others. House Democrats have suggested that Flynn continued to lobby on behalf of that project even after Trump was inaugurated and Flynn was serving in his official role as national security adviser. Democrats also suggested that Flynn's interest in strengthening ties with the stakeholders and the Russians meant that he had decided before the inauguration that the U.S. sanctions then in force against Russia would be "ripped up." Sanctions on Russia were to be "ripped up" early in the Trump administration, then-national security adviser Mike Flynn said on Inauguration Day, according to new information released Wednesday. The new details suggest that President Trump and his aides not only were amenable to new negotiations with Russia about its bilateral relationship with the U.S — despite its attack on the 2016 presidential election — but had concluded by the time they took office that they would definitely void existing sanctions.